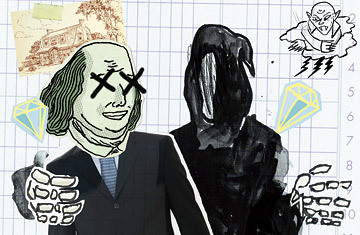 A legal quirk makes 2010 a great year to bequeath wealth. Can resting in peace be incentivized? Attn: Wealthy people. Because of a complicated political stand off in Washington, there is no federal estate tax this year. That means if you die on or before Dec. 31, Uncle Sam won't get so much as a dime of your millions when they go to your heirs. But if you live just long enough to see the ball drop on New Year's Eve, the IRS will take up to a 55% cut of your nest egg. Economics  a.k.a. the dismal science  is based on the idea that people respond to financial incentives. But can your death be incentivized? "I've had clients tell me that if they were to get terminally ill this year, they would want to pull the plug instead of hanging on," says William Zabel, an estate-planning attorney in New York City who wrote wills for Doris Duke and Jackie O. One CPA in San Francisco, who requested that we not identify him by name, has a client he suspects is planning a tax-related suicide. "She keeps asking me over and over to recalculate the tax savings and talking about joining her husband in heaven," says the CPA. "I'm really worried. I'm not trained for this, and I don't know what to do." It's a troubling issue that "has not popped up on our radar," says Joel Allegretti, spokesman for the American Institute of Certified Public Accountants, the leading industry association for accountants. But academic researchers have known for years that death rates are influenced by major changes in estate-tax law. A 2003 paper published in the prestigious Review of Economics and Statistics looked at 13 major estate-tax changes in the U.S.  following the creation of the tax in 1916  and found they had a small but statistically significant effect on death rates. Among those wealthy enough to be affected by the changes, the chance of dying increased slightly in the two weeks before rates went up and decreased in the two weeks after an estate-tax cut, a phenomenon the authors have dubbed death elasticity. Other studies have found the effect is particularly dramatic when countries eliminate inheritance taxes altogether. In Australia, which abolished the tax in 1979, economist Joshua Gans used weekly death data to conclude that approximately 50 people who would have died in any other week managed to hang on until the tax expired. That's noteworthy in a country where each week only 90 of the people who died got hit by the tax. Come January, when the U.S. estate tax goes from zero to 55% literally overnight, will the death rate spike as radically as it fell in Australia? Gans finds it "plausible." To be sure, no one is expecting a death wave in December. For one thing, only 1 in 460 Americans has an estate big enough to be affected by the change in estate-tax law, and of this group, typically only about 5,500 die in any given year. (In 2009, the tax targeted people with a net worth of more than $3.5 million; in 2011, the threshold will drop to a mere $1 million.) Zabel speculates that this year, perhaps 20 or 30 people will hasten their own deaths for the sake of their heirs. "But they are not going to admit it," he says. "Suicide is ignoble." Not to mention ill-advised, since Congress could still pass a law that taxes people who have already gone to their graves.